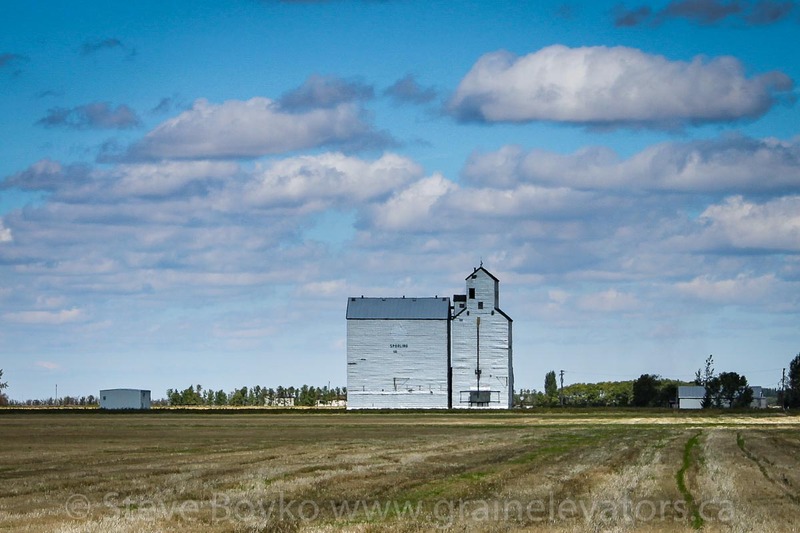 Sperling, MB grain elevator, Sep 2010. Contributed by Steve Boyko. The Sperling grain elevator was a former Manitoba Pool elevator, built in 1926 and until recently operated by Delmar Commodities. It was last used in the fall of 2013. The elevator was on the CEMR Carman subdivision between Carman and Winnipeg, Manitoba. 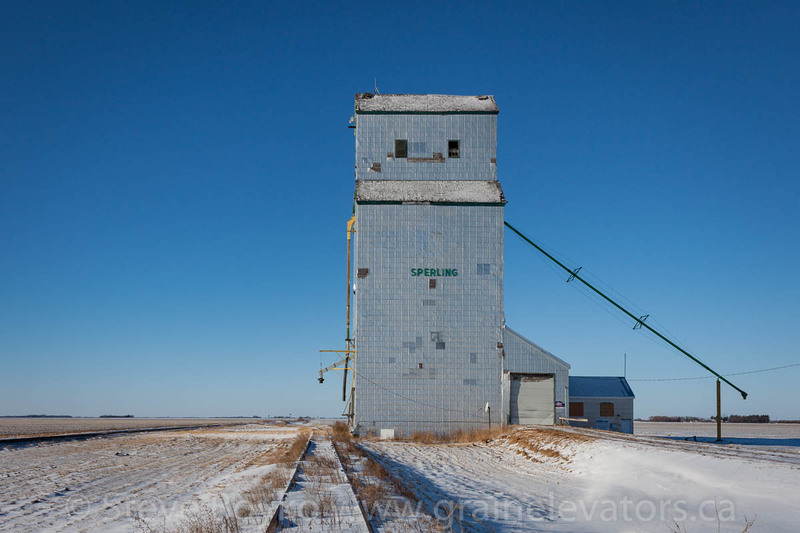 Grain elevator in Sperling, Manitoba, Dec 2014. Contributed by Steve Boyko. 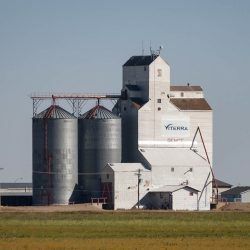 The grain elevator in Sperling was demolished in late March 2015 (news article). 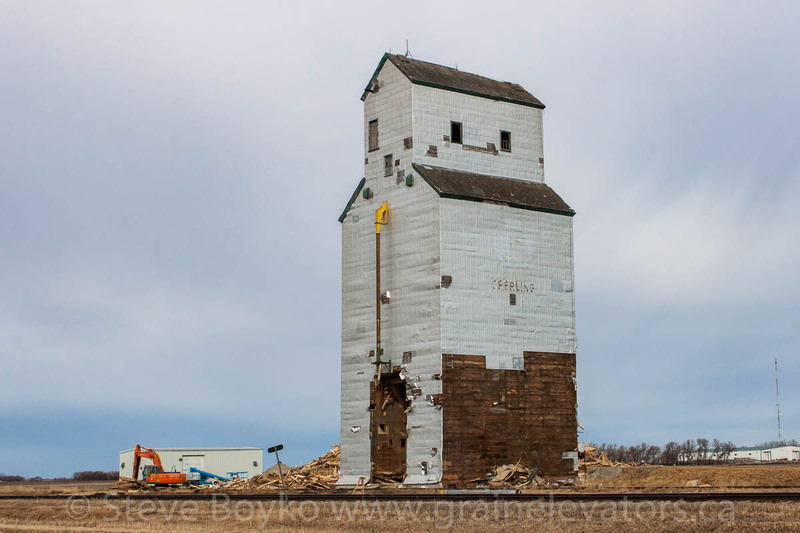 Demolition in progress on Sperling, MB grain elevator, Mar 22, 2015. Contributed by Steve Boyko. 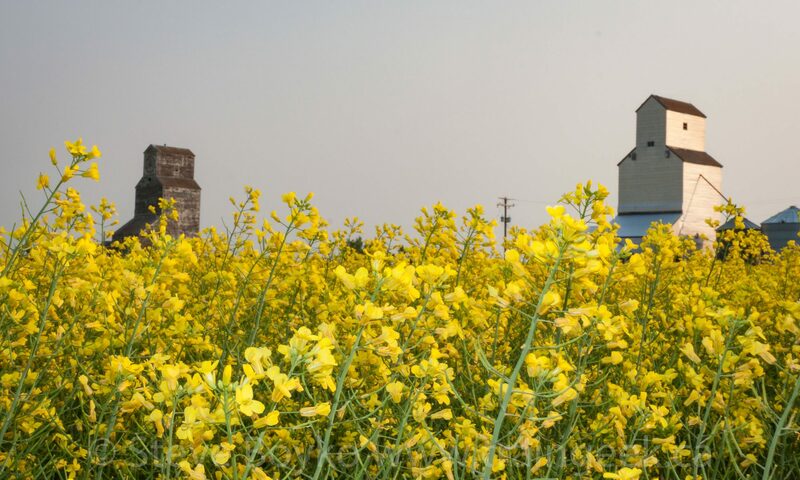 The town of Sperling has never exceeded 200 people, and today it is primarily a residential town, with a few industries such as Sperling Industries and an auto body shop.